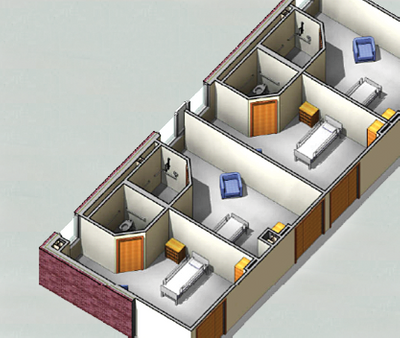 Building Information Modeling (BIM) utilizes technology to design, construct, and operate buildings. By creating detailed, digital representations of buildings entire design and construction teams are able to informatively collaborate on the infrastructure of a project to improve decision making and performance. Building information models are generated to specifically resemble the physical and functional characteristics of a building. BIMs are created at the inception of a project by design teams and collaborated on throughout the construction process with the general contractor and subcontractors to ensure that possible issues are rectified prior to presenting themselves. By providing a shared model, information is closely detailed between each contractor to ensure that construction is completed in accordance with plans. Due to their highly detailed nature, BIMs support cost management processes, construction management, project management, and overall facility operation once a project is complete. 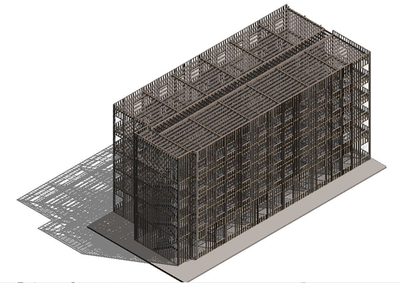 Whereas traditional building design is supported with two-dimensional drawings, building information modeling presents technical drawings in 3D (width, height, and depth) and then extends further to include cost and time details. BIM details more than the physical attributes of a project but also spatial relationships between objects, light analysis, geographic information and building material details. BIMs closely model the objects that a building is composed of by defining their parameters and relations to other objects. By defining each objects specific parameters, the model is interactive in the sense that objects are dependent on one another, so that should one component on a project be amended its counterpart will also automatically be amended. 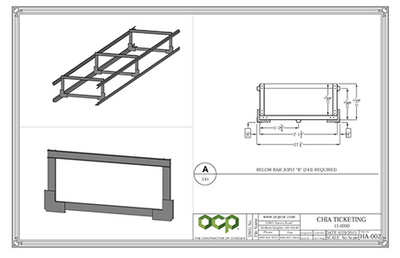 In addition, each object has attributes detailing ordering, cost estimates, and material tracking. OCP Contractors’ expertise in the utilization of BIMs makes the firm an ideal collaborative partner to ensure projects are completed inline with budget and on time. OCP’s team of BIM experts work closely with the other contractors on a project to take designs from conceptual to actual implementation in the field with a detailed plan. By working with other trades on a project to prepare processes in advance for a successful project, OCP is able to send tradespeople to the jobsite with a detailed plan for construction. 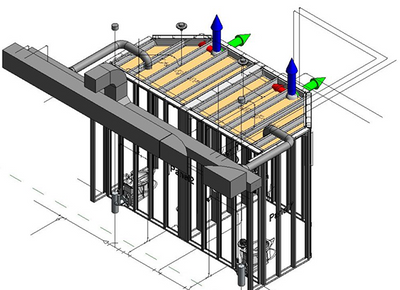 While changes on a construction project are common, OCP is able to navigate through these unforeseen changes by utilizing BIM to problem solve and keep projects on schedule. Technology is consistently taken advantage of to ensure communication is open to allow for an efficient construction process that results in an on-time, on budget completion.